Need for consulting on game development, game business or gamification? The scene consists of a wide network of game industry companies and professionals – via Expa you can get in touch with the active scene. We offer various educational events and consulting on demand. 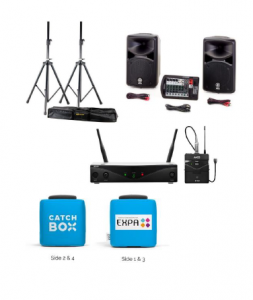 Audio equipment for various events and seminars. See more on the Expa Equipment Rental Catalogue.